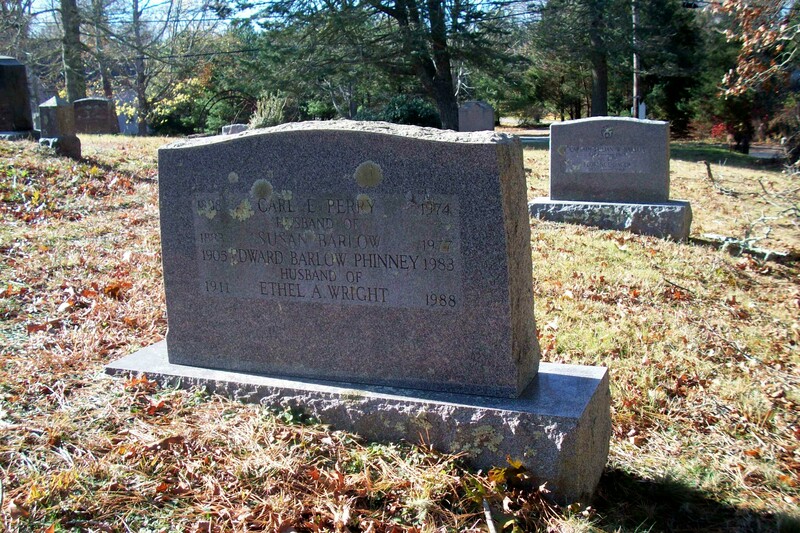 Born: December 25, 1883 in Sandwich Ma. 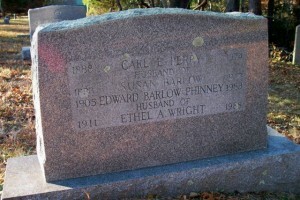 Married (1): September 11, 1904 in Bourne Ma. ; They divorced. 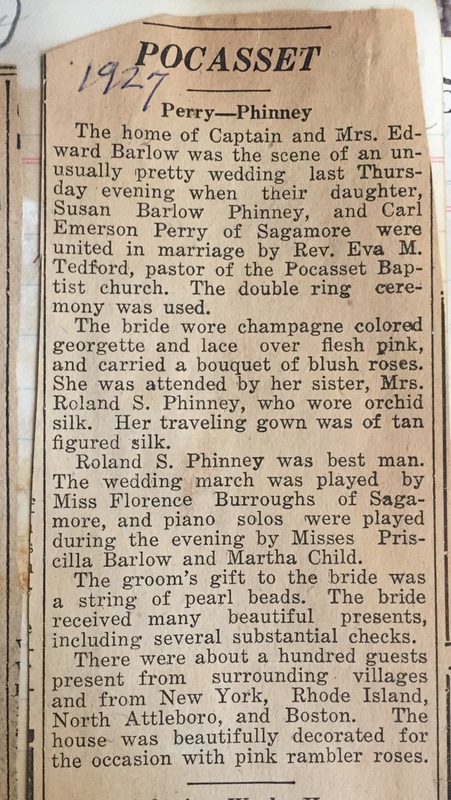 To: Nathan Chatman Phinney; (1879 – 1937) (John Adams Phinney & Rosilla/Rose C. Wright); Nathan married (2) Margaret Burns in Bourne Ma. 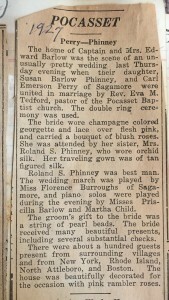 on January 27, 1928. 1. Edward Barlow Phinney; (November 13, 1905 – October 1983); Married Ethel A. Wright (1911 – 1988); Edward & Ethel are buried in Pocasset Cemetery with his mother & her second husband, Carl Emerson Perry. 2. 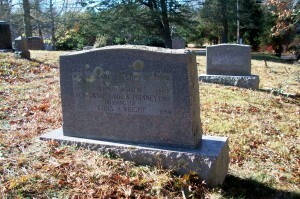 Waldo Adams Phinney; (September 28, 1907 – October 29, 2001); Waldo died in Port Royal S.C..
Married (2): July 28, 1927 in Bourne Ma.